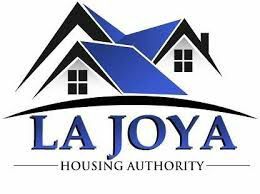 LA JOYA — Board members of the La Joya Housing Authority got a long-awaited look at financial transactions that detail questionable expenses since the beginning of the year. Salinas did return a request for comment. The transactions were presented to board members during a meeting Thursday by the acting executive director, Cristi LaJeunesse, who was appointed to the position on Oct. 16. Throughout the list are various expenses for restaurants, hotel stays, a payment to Ripley’s Believe or Not, and various ATM cash withdrawals. There were also payments made to relatives or people connected to relatives. One such expense was a $2,500 payment made to Forrest G. Orozco, Salinas’ nephew, for 2017 audit prep on Aug. 28. In August 2017, the housing authority received a letter from HUD denying Salinas’ waiver to become the director of the housing authority. Then in February, HUD sent a letter to then-Board Chairman John Peña stating Salinas could not be paid or receiving benefits of federal funding. “I understand that any money paid to Frances, be it for training, mileage, per diem — any of that is not appropriate to be paid from federal funding,” LaJeunesse said. However, the transaction list includes several of such payments from April through August. “I would say, in accordance with the annual contributions contract, it was not proper to be paid,” LaJeunesse said, referring to the contract under which the housing authority operates. Some expenses, LaJeunesse said, are actually prohibited under HUD’s procurement regulation, such as expenses made for hotels, restaurants and one to Ripley’s Believe it or Not. One restaurant expense was made in July for $80 at Bombay Bicycle Club, a restaurant in San Antonio, presumably during a business trip. However, LaJeunesse said that was inappropriate or ineligible because of a lack of documentation of a business trip, lack of approval for such a business trip and lack of documentation for whom the meal was provided. During Wednesday’s meeting, the board members expressed incredulity at the list of expenses. Maricruz Sifuentes, the board chairman, said she had requested to look at the finances but said Salinas never produced them. The board also adopted a new check writing policy that will no longer allow cash withdrawals unless it’s with expressed board approval. All checks must have two signatures and a check register must be maintained. Previously, during the Oct. 16 meeting, the board removed Salinas as an authorized signature on the housing authority’s three banks accounts for Low Rent Operations, Housing Choice Voucher Operations and La Joya Housing Non-Profit. That came after the board had voted to terminate Salinas during a meeting on Oct. 10 which Salinas said was void because notice of the meeting had not been posted 72 hours in advance as required by state law. Salinas then filed a temporary restraining order against Sifuentes to prevent the board from attempting to terminate her again. A hearing on the TRO will be held Monday. Earlier during Wednesday’s meeting, LaJeunesse presented an audit report to the board which found their net position decreased to $1,468,000, a decrease of $244,000. “So our revenue went down and our expenses went up, basically, for 2017,” she told the board. Operating revenue decreased about $50,000 from 2016 to 2017 while their operating expenses increased about $100,000 from $1,095,000 to $1,191,000. Their current assets for 2017, which is money currently available to them, amount to $26,000. That’s down from $152,000 in 2016. When asked if the mismanagement of funds led to a large decrease in assets, LaJeunesse said it did.